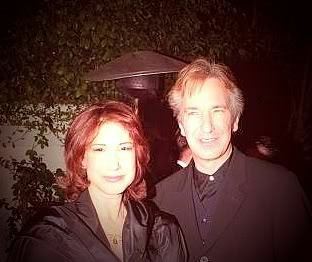 Alan and his sister. . Wallpaper and background images in the Alan Rickman club tagged: rickman. This Alan Rickman photo contains wamevaa vizuri mtu, suti, suruali nyayo, pantsuit, mtu wamevaa vizuri, suti ya suruali, suti biashara, biashara suti, picha, headshot, and closeup. There might also be nyayo, suti ya nguo, seti, seti ya nguo, slack suti, suti slack, and tatu kipande suti. Where you get this picture from. I like to see what his two brothers look like.